If you are looking for some retro snacks then have a go at these bite-sized buffet delights. 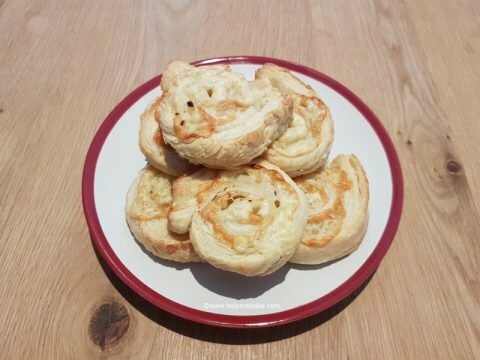 Here is your recipe and guide on how to make Cheese Whirls. Pre-heat your oven to one of the following. 250 gram Pack puff pastry. 1 Beaten Egg – Optional for Browning. 1. Roll out the puff pastry into a rectangular shape. 2. Lightly cover the entire puff pastry with a thin layer of cheese. 3. Sprinkle on the diced onion. 4. Roll up like a Swiss roll, bend the ends over. 5. Cut into slices approx 2cm thick. 6. Place on a lined baking tray. 7. (Optional) – Brush the top with the beaten egg. 8. Place on the middle shelf of the oven and bake for approx 15 mins or until the pastry is golden brown. 9. Once cooked, remove from oven, then either serve immediately or leave to cool on a wire rack.